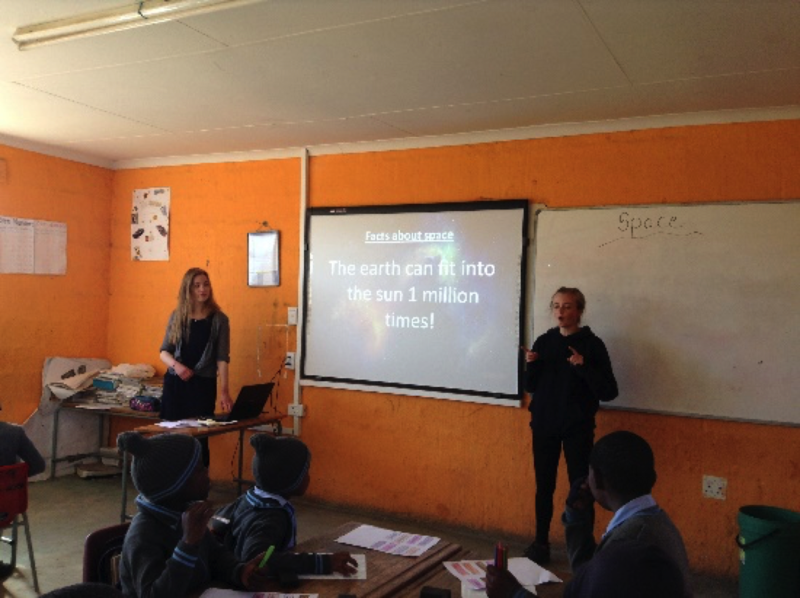 During 2016, one of our parishioners, Kathryn Green, along with five friends, were tirelessly raising money to pay for the to send time teaching in a South African Primary School. 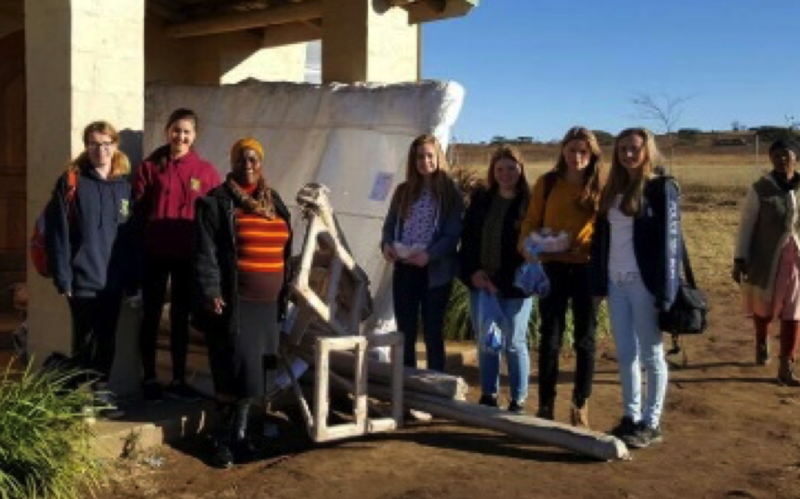 With the help of fund raising events, donations from parishioners, local business and The Catenian Association, the the fund raising was successful and here is Kathryn's story of her four week trip to South Africa. This past summer I went to South Africa for four weeks with five other girls from my school to volunteer at Schitsdrift Primary School, a rural school near Ladysmith in Kwazulu Natal. We taught them English and Maths, as well as some Science. The children at the school were all from quite poor backgrounds and living in a completely different culture to anything I have experienced. This did not however affect their enthusiasm to learn and how friendly they were as they were some of the most amazing kids I have ever met. From day one helping at the school we were thrown into the deep end. We split into two groups of three, me and two of the other girls taking the Grade 2 and 3 class. Due to government funding cuts, the school had been unable to employ enough teachers for each grade so some of the classes had to have 2 grades in each class. This meant the classroom was crowded and the teacher had to switch between giving Grade 2 to do a task and then giving Grade 3 a task, something we noticed straight away to be a large strain on the class teacher and so we offered to take one class outside and teach them English whilst she could teach the other grade Zulu, their home language. On suggesting this to the teacher she gave us the Grade 3 textbook and so we took Grade 3 outside. Without any sort of plan and whilst trying to navigate the considerable language barrier, we chanted and clapped our way through a few pages of their textbook. The lesson however, was made much harder simply by the lack of basic necessities, large groups of children sharing a single broken pencil, or one child biting his rubber into smaller pieces so all could have one. On noticing this, we decided that the next day we were going to bring with us some of the supplies we had brought with us to give to the school. Seeing the joy on their faces when we gave them a new pen or pencil was incredible. At the end of the lesson they started to give the pens back to us but when we told them that they could keep them they got so excited and started putting their pens into their pockets so they could look after them. Their gratitude and enthusiasm was something that really took us all aback. 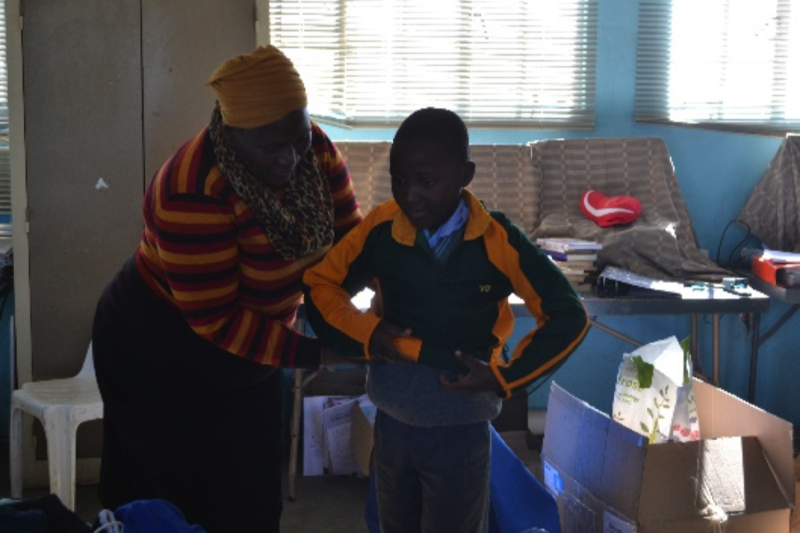 As previously mentioned, we brought with us suitcases of supplies for the school; one of stationary, ranging from pens, pencils, rubbers and pens, one of books for their library, and one of sports clothes and fancy dress which had been donated from our school. The gratitude from the school when we gave them the supplies was incredible and the clothes were given out to those children who didn’t have proper sports clothes, something that they all greatly appreciated and got so excited about! Another resource we brought in to help teach the children was a box of mini whiteboards that we used to make our lessons more interactive, as one thing we noticed was that their lessons were very much based around copying up questions from the board and writing it into their books. 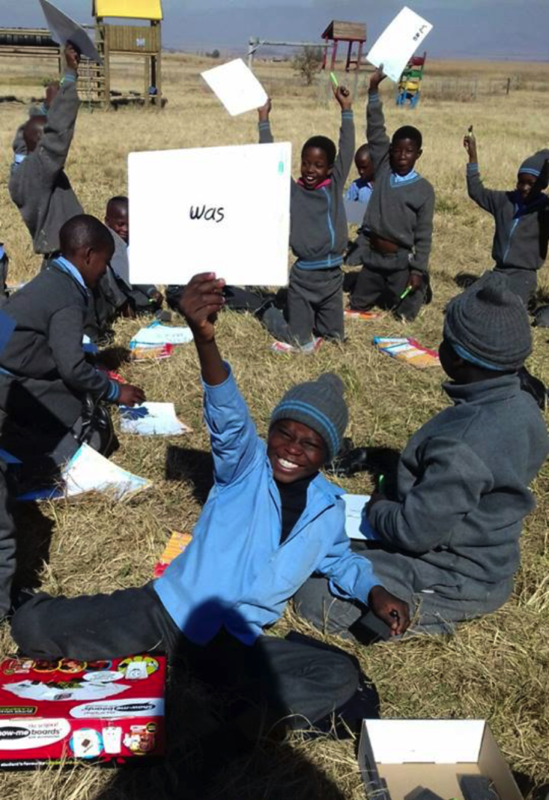 When we first brought out the whiteboards, they didn’t know what to do with them as the school didn’t have anything like this, but as soon as they understood what we wanted them to do they were thrilled by them and getting extremely excited about getting the answer right. Later on in our time at the school, me and two other girls also taught some Science in the Grade 4 class which was a completely different experience to teaching to the younger ages as the language barrier was less prominent, but the kids still had the same amazing attitude to learning. Something else we did at the school was to leave a ‘legacy’ project. We had a fundraising day at our school in Solihull before we left in which all the money raised went towards something that we wanted to leave at the school as a permanent reminder and something that they would be able to use all year round. 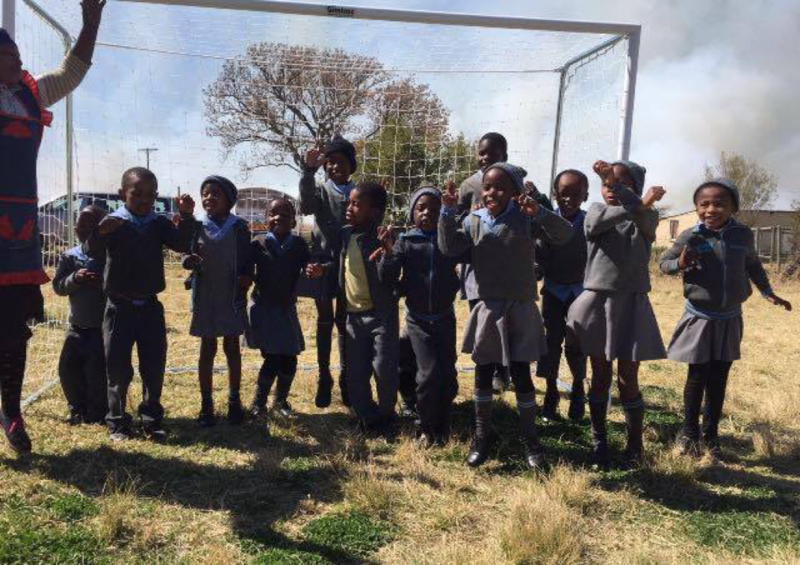 When the trip ran at our school last year, they provided the school with a climbing frame for their playground, which the kids were still loving a year on, and we decided to buy them trampolines that were built into the ground as well as football and netball posts and football and netball balls. 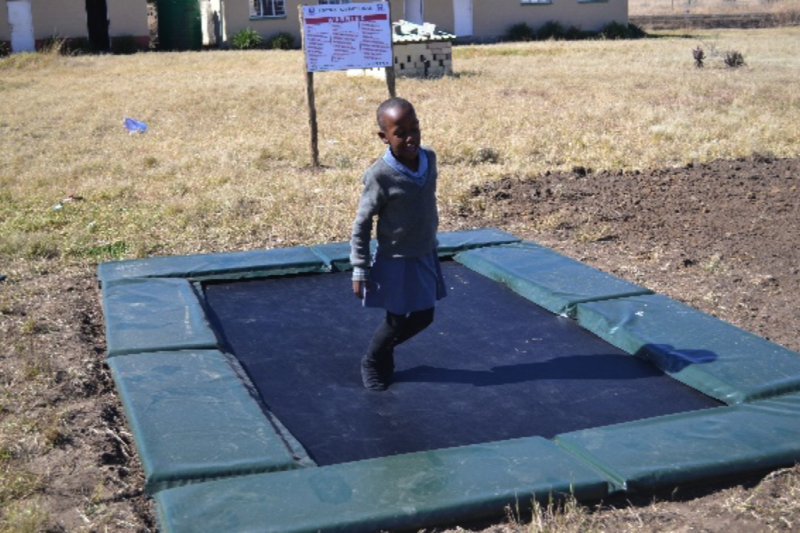 So many of the children had never used or even seen a trampoline and so they were a bit confused as to what they were supposed to do when they first got on but as soon as they got the idea their faces when they started jumping were filled with so much joy. By the end of our time there some of the kids were doing flips on the trampolines and they were racing to be the first ones on the trampolines because they loved them so much! It was amazing to see how much of an impact we had made on their lives by how happy they were because of what we had given to the school. The sports equipment that we bought for them was received with such appreciation as the school had no proper equipment like it. With the addition of their new sports afternoon, this equipment as well as the clothes were very fitting and we know that they would be used lots. 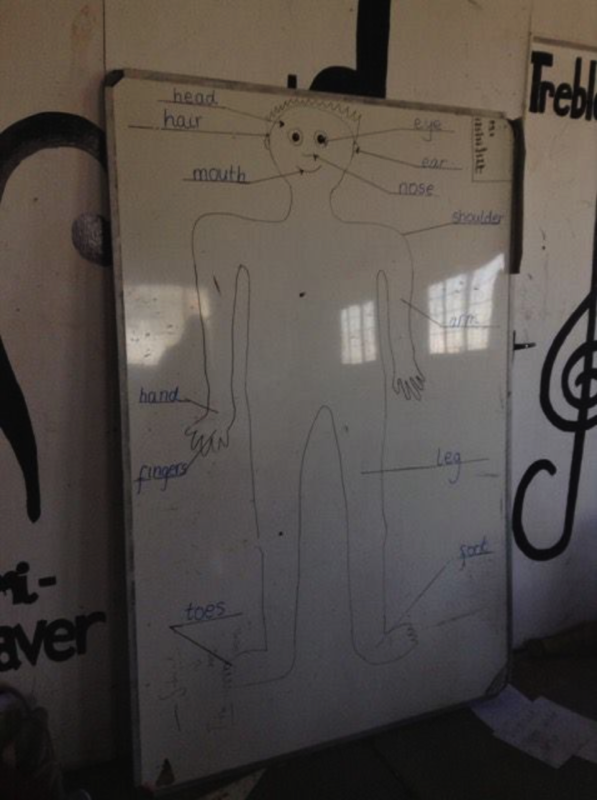 Overall, going to Africa and experiencing teaching at Schitsdrift School was the most incredible experience and something unlike anything I have ever done before. The main thing that really hit me was the gratitude of the children despite the fact that they had so little. They appreciated every little thing that we seem to take advantage of in our country and so seeing how grateful they were really put my privilege in perspective. It was experiences like this where I could see how God’s work was in practice because to know that what I have done to help the children at this school has impacted their lives in some way is an amazing and such a fulfilling experience.